Aap ne Internet par dekha hoga ki log aksar WhatsApp, Facebook, Android, iPhone, PC etc. tricks search aur share karte hai. But kya aap ne kabhi Google Chrome web browser ke bare me soch hai ki chrome me kaun se hidden features hai? Aap ne shayad chrome flags ke bare me already suna hoga. Lekin main phir bhi kuch amazing Google Chrome tricks aapke sath share karunga. Sabse pehle main chrome flags ka introduction dene ja raha hu kyon ki ye tricks chrome flags ke zariye se hi apply ki jati hai. To chaliye dosto pehle chrome flags ke bare me jane ki koshish karenge taki aapka confusion dur hone ke sath-sath chrome ke hidden secrets ka bhi pata chal jaye. Aap in tricks ko apne Android mobile se karne ke alawa, PC par bhi use kar sakte hai. Google Chrome Flags Kya Hai? 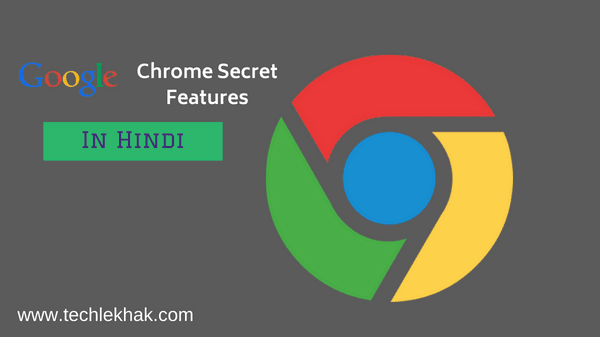 Chrome flags Google web browser me short URL hote hai jin se chrome ke hidden setting aur features ko badi aasani ke sath access kiya jata hai. Chrome flags me different URL store hote hai jinhe offline bhi access kiya jata hai. Access karne ke alawa, chrome flags ko bina Internet connection ke apply kiya jata hai. For example, agar aap chrome flags me ja kar new settings setup karna chahte hai to ye offline ho kar bhi work karta hai. In short, chrome flags Google chrome settings ki shortcut hota hai jinhe address bar me type karke Chrome settings ko access kiya jata hai aur ye settings usual settings se different hote hai jo ki regular settings me access nahi kiya ja sakta hai. Ab aapko understand hua ki maine kya kaha? Apni eyes ko ek minute ke liye close kar do aur chrome flags ko repeat karne ki koshish karo aur batao ki aap ne kya understand kiya.. hahaha. To aaiye dosto ab Chrome flags ka use karke छुपे हुए settings aur feature par ek nazar dalte hai. क्या आप Google क्रोम टिप्स और ट्रिक्स के बारे में जानते हैं? Kya aap Chrome browser me bahut sare Tabs open karke rakh dete hai? Main bhi aisa hi karta hu but aisa karne se hamara PC bahut slow kam karta hai. Kyon ki open kiye gaye sabhi Tabs automatically reload ho jate hai. "Only Auto-Reload Visible Tabs" ko enable karne se keval wahi Tab reload ho jata hai jis par user browsing karta hai aur baki ke tabs tab tak reload nahi hote hai jab tak un tabs par click na kare. Is tarah se web browser bhi perfectly kam karta hai aur PC par bhi ziyada dabao nahi padta hai. Is function ko enable karne ke liye chrome address bar me chrome://flags/#enable-offline-auto-reload-visible-only type kare aur is ke baad, Default button par click karke Enable select kare. Is feature ko Mac, Windows, Linux, Chrome OS aur Android par enable ya disable kar sakte hai. Actually, jab hum kisi website par mp3, audio, documents ya koi aur file download karte hai to har kisi website par downloading speed ka ek limite hota hai. For example, agar aap kisi website par 100 mb 10 minutes me download karte hai to dusri website par same file with same size download karne me is se kam ya ziyada time lag sakta hai. "Parallel downloading" ko enable karne se downloading speed increase ho jati hai. Is feature ko activate karne ke liye chrome address bar me chrome://flags/#enable-parallel-downloading type kare aur Default button par click karke Enable select kare. Available for Mac, Windows, Linux, Chrome OS and Android. Jab hum chrome address bar me kisi website ka url type karte hai to waha website ka favicon tab show hota hai jab webpage load ho jata hai. "Omnibox UI Show Suggestion Favicons" ko enable karne se website ka favicon url type karte karte show ho jata hai jis ki madad se hum site ka pura url type karne se pehle hi site ke favicon se identify kar sakte hai. Is setting ko enable karne ke liye chrome address bar me chrome://flags/#omnibox-ui-show-suggestion-favicons type karke default button me enable select kare. Bahut sare Tabs open rakhne ki waja se system memory par bura asar padta hai. Aur agar aap chahte hai ki aise tabs automatically discard ho jaye jo bekar me open rehte hai, to "Automatic tab discarding" ko enable kare. Is se ye hota hai ki jin tabs par hum kam nahi karte woh tabs automatically reload hone se stop karte hai. "Automatic tab discarding" ko enable karne ke liye chrome://flags/#automatic-tab-discarding par jaye aur default par click karke enable select kare. Ye bahut hi amazing feature hai jisko aap bina soche enable kar do ge. Jab hum youtube ya kisi aur website par online songs, movies etc. watch ya listen karte hai to inhe mute karne ke liye tabs ko close karna padta hai. But "Tab audio muting UI control" se aise tabs par speaker ka icon show ho jata hai jaha se audio aur video play ho rahe hote hai. Is speaker par left click karne se sounds ko unmute kiya ja sakta hai. Is feature ko ON karne ke liye chrome://flags/#enable-tab-audio-muting par jaye aur default ke under enable select kare. Jab hum koi form online fill kar dete hai to form me enter ki gayi details chrome me save rehte hai aur next time woh details kisi bhi website par form fill karne se automatically show karte hai. Aur is tarah se hume woh details phir se type nahi karni padti hai. But ye tabi hota hai jab "Show Autofill predictions" ko enable kiya jaye. In details me address, name, phone number, parentage, etc. shamil hota hai. Autofill predictions ko enable karne ke liye address bar me chrome://flags/#show-autofill-type-predictions type kare aur right side button par click karke default ke neeche enable select kare. Is setting ko chrome ke regular settings me bhi activate kiya ja sakta hai jis ke liye address bar me chrome://settings/autofill type karke Autofill forms ke right side me button par click kare ON kare. Chrome ke sabhi url ki list ko access karne ke liye address bar me ja kar chrome://chrome-urls/ type karke enter key press kare aur list me diye gaye URL ko apni zaroorat ke according select kare. Select karne ke baad, aap chrome ke hidden features ko access karne ke alawa, activate bhi kar sakte hai. Yaad rahe ki ye URLs flags URL se different hai. Dono types ke url se different features ko check aur activate kiya jata hai. Aap ne abhi tak kitni websites ke notifications ko allow kiya hai? I think bahut sare. Aap spam aur unwanted notifications se tang aa chuke hai? Koi nahi.... Google chrome ke address bar me chrome://settings/content/notifications type kare aur spam websites ke right me three dots par click kare aur finally remove par click kare. Agar list me spam site ki link available nahi hai to manually kisi website ke notifications ko block karne ke liye Add par click kare. Chrome Flags ek bahut hi amazing feature hai jis ka upyog koi bhi vyakti kisi bhi system par access kar sakta hai. But is ke liye chrome browser hona zaroori hai. For example, agar aap flags ko Internet explorer, safari, FireFox me ja kar Mac, Windows, Linux ya Android par access karne ki soch rahe hai to ye possible nahi hai. 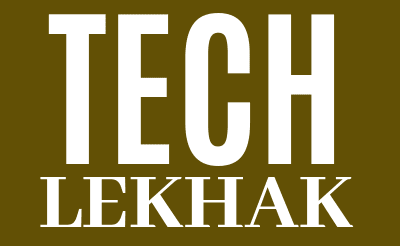 To Friends, ye tha aaj ka post jis me maine Google chrome ke 8 best tricks share kiye. Jaisa ki maine pehle bhi kaha ki ye tips and tricks sabhi OS par work karte hai. But ek baat ka khayal rahe ki flags ko enable karne se aap ka browser data delete ho sakta hai. Is ke alawa, aap ki online security aur privacy bhi compromise ho sakti hai.